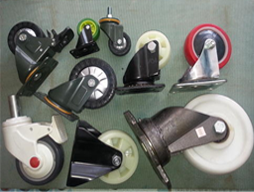 We Excel Engineering Enterprises since 1974 are Service Provider of castor wheels, all kind of wheels, industrial trolleys, single wheel barrow & all type of anti vibration pads, double cylinder wheel, trolley wheel, drum wheel barrow, platform trolley wheel, cylinder and double cylinder trolley, etc, as per your specification creating new benchmarks with over 1000+ dealers & sub dealers in Secunderabad. 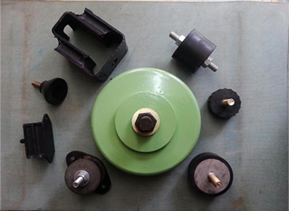 - We deal with all kind of castor wheels including furniture and industrial demand. 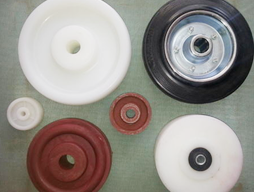 - We supply different kinds of wheels with every brand, shape and size according to the customer needs. 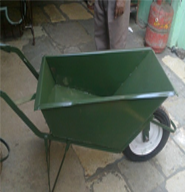 - We manufacture trolleys like sack trolley, platform, drum trolley, cylinder trolley, wheel trolley, etc. as specification and need.